With a theme of the natural, foraged, and imperfect, texture abounded with marsala details in the way of dahlias. 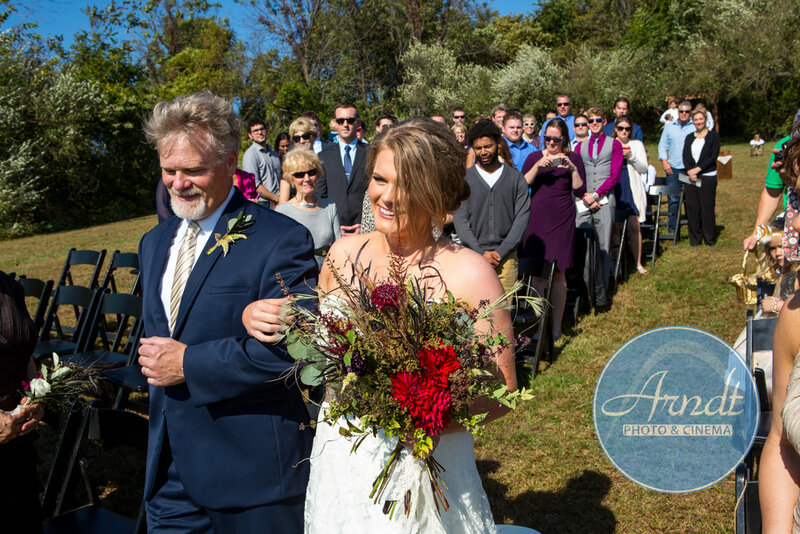 Native grasses, sedum, and celosia provided even more character for our first CLEMENTINE bride and groom. Photography: Arndt Photo & Cinema. Local flowers: Green’s Garden. Venue: Historic Bell Hill.